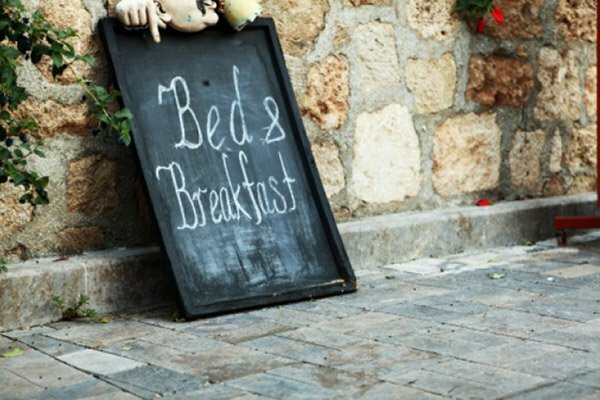 Each year, the Bed and Breakfast Innkeepers produce a beautiful directory brochure that is distributed across the country. A description of each inn appears in this directory along with promotional info about BBISD. Each innkeeper receives a bundle of these directories and each receives the benefit of a widely distributed brochure that is included in BBISD membership cost. If your print advertising budget is small or nonexistent, this is a great benefit! The B&B guest demographic is changing, but many of our guests still like to have a print product in their hands to help them make plans as they travel across the state of South Dakota. Let BBISD take care of your print presence! Search for bed and breakfast in South Dakota and www.southdakotabb.com is right there at the top of the list. While some of our inns are high in search rankings, it can be a big challenge for small properties with limited web capabilities or budgets. Your association with BBISD ensures that your inn will be considered whenever a potential guest clicks on the BBISD website. You have control of your listing with your own username and password, and you can include your availability calendar as well. The South Dakota Bed and Breakfast Innkeepers have valuable experience, tons of heart and great empathy for their fellow innkeepers. The members of BBISD realize that because each property is unique, our competitors are not each other. We are in competition with the bland big boxes that lodge the guests who haven't discovered b&b travel. Share stories, ask opinions and alert others to potential problems. This is a nice bunch! Our association newsletter is full of tips, tricks, and news. Tired of mail and its clutter? Don't fret, because the association newsletter is delivered by email. The newsletter also gives you the opportunity to share information, because helpful info and good content are always welcome from our members. Another opportunity is advertising - for a small fee, you can advertise your antique business, your consulting business. Or encourage related businesses in your neighborhood, like wineries and art galleries, to advertise in the newsletter. BBISD's relationship with state government is one of the most important benefits of your membership. BBISD has a voice among those agencies who regulate business in our state, and many of our b&b regulatory documents are the direct result of conversations between BBISD legislative liaisons and officials in Pierre. While other state governments make life hard for bed and breakfast innkeepers, the state government in South Dakota is supportive and non-intrusive. Post your membership certificate where you greet your incoming guests and use our "Inspected and Approved" BBISD logo on your website and printed material. When you belong to your industry's professional organization, your membership automatically enhances your standing online and in your community. The BBISD cookbook is a great source for home chefs of all levels of expertise. Tried and tested, these recipes represent guests' favorites from all over the state. The cookbook is a nice source of extra income and a great way to plant our warm experiences in the minds of guests long after they have returned home. Another great promotional tactic is to give cookbooks to your favorite returning guests. They will show their loyalty toward your Inn long after the book is splattered and worn. South Dakota thrives on services for visitors, and your membership in BBISD will represent you in every region of the state. Whether your guests are hunters, fishers, hikers, bikers or tourists, you can be confident that your BBISD membership will include advertising and representation across the state and throughout the nation. BBISD sponsors a vendor table at the governor's conference, earning notice from hundreds of attendees who operate in the tourism industry. We also sponsor a table and gifts at the Visitor Alliance luncheon each year, and we send a delegation to the conference to make our presence known to legislators, industry leaders and business people from across the state. Many small businesses skip conferences because of the expense or time commitment, but when you belong to BBISD, you can be assured that you are represented in Pierre and beyond. BBISD members say guest referrals have helped establish their businesses, fill open rooms, replace cancellations and introduce them to new friends. In South Dakota, we have peak periods where there are plenty of visitors to share. Our innkeepers are happy to refer guests to another inn, as long as that innkeeper belongs to BBISD. Many innkeepers say the highlight of their membership year in BBISD is the annual meeting and retreat. For new ideas, tasty recipes, improved lifestyle and business tips, attend the annual meeting. And of course, the best thing is the networking with other BBISD members!